Creating a home swimming pool is an outstanding and appealing feature that many people would want to own. However not all swimming pools are created equal, and while a pool will be an incredible feature to add to your home, there are countless ways that you can get more from your standard pool and make it all the more stunning with a retracting roof enclosure. Swimming in an outdoor pool has many benefits. It allows you to relax under the sun and really feel like a summer holiday, but it also gives you the possibility to look up at the sky and float around while you admire the outdoors – an incredibly refreshing and therapeutic way to enjoy your pool. However, being outdoors can have its problems. For one, you will not be able to use your swimming pool when its cold or rainy, as well it means you’ll spend far more time cleaning your pool and removing dirt and leaves that can accumulate over time. With a retractable roof or pool enclosure roof, you can handle these issues by closing the roof over the pool when the weather becomes nasty or when not in use, but you’ll be able to enjoy the sun or perhaps the stars without the bugs when you want to. You can also avoid a sun burn with the pool enclosure is partially opened which many people forget when enjoying their swimming pool. You will discover more advantages too, as the retractable enclosure roof allows you to use your swimming pool in whole new way. There is certainly nothing quite as relaxing as listening to the sounds of the nature while you’re hovering on the water while still protected from the elements. Its like being outdoors but indoors at the same time. Controlling your own environment at all times. When you are not using your swimming pool, you can just enjoy sitting around and enjoy a drink or two. Or have dinner under the stars without pesky mosquito buzzing around wanting you for dinner. Or on cold winters day take a brave roll in the snow and jump back into the warm pool to warm up to make your heart beat a little faster. 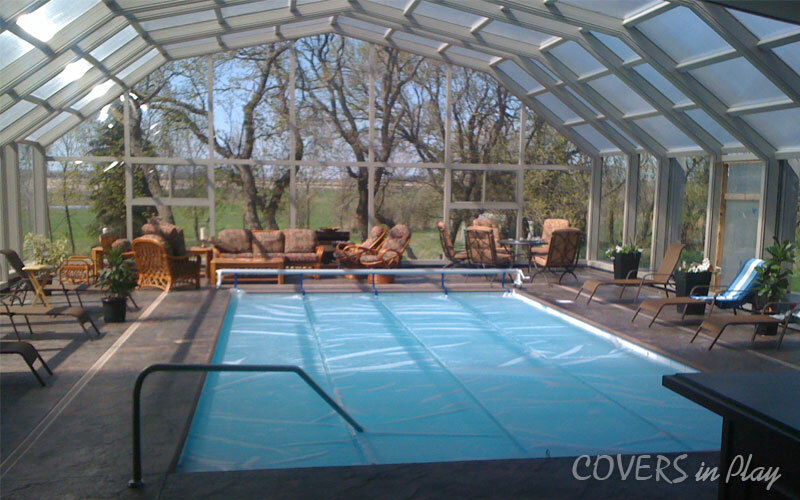 Another bonus of getting a retractable pool enclosure over your swimming pool is that it’ll add an extraordinary dynamic factor to your home. Seeing an indoor pool is impressive enough, but seeing it transformed into an outdoor oasis with a push of a button is amazing. Letting nature in with your figure tips is empowering. The space not only adds extra space to play year-round it adds value to your home. Retractable Roof, Roof Enclosure, Swimming Pool Enclosures. permalink.